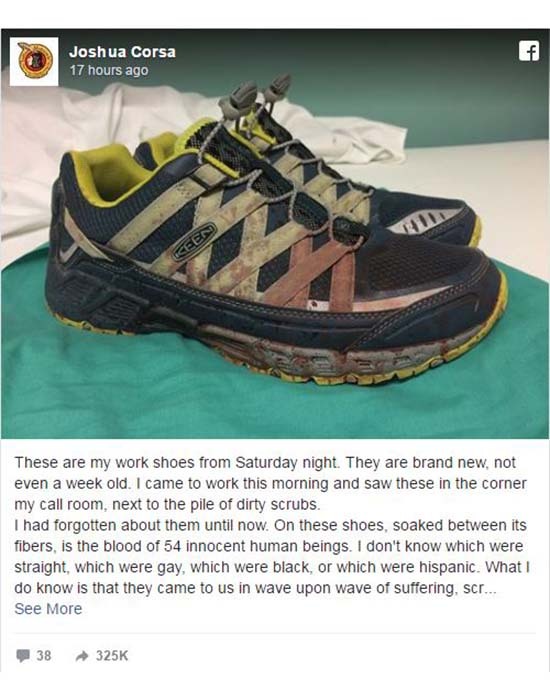 ORLANDO, FL (KTRK) -- A doctor who responded to tragedy the night of the Orlando mass shooting posted a photo Monday of his work shoes on Facebook. His message about the victims is going viral. People in Houston's Montrose area are understandably very concerned about their security after the Orlando attacks, but law enforcement is vowing to do what it can to prevent a tragedy in the Bayou City. Dr. Joshua Corsa, a senior resident in the Orlando Regional Medical Center's Department of Surgery, wrote, "These are my work shoes from Saturday night. They are brand new, not even a week old. I came to work this morning and saw these in the corner my call room, next to the pile of dirty scrubs. 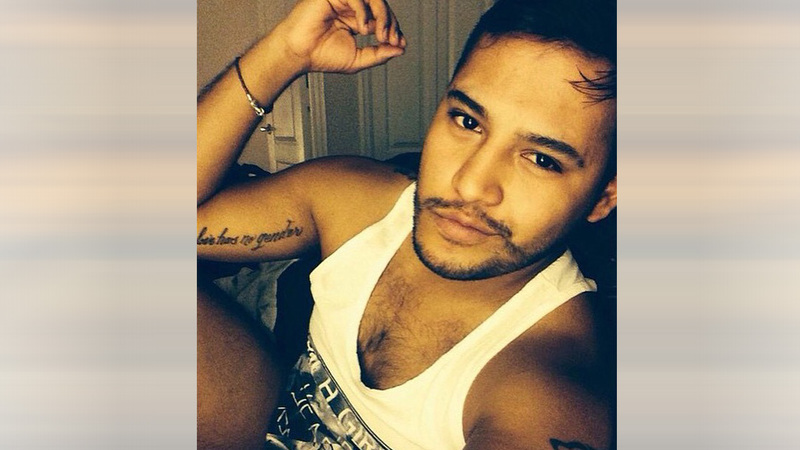 A Texas native was among the 49 victims fatally shot inside a gay nightclub in Orlando, and now his family is speaking exclusively with abc13 about their murdered loved one. I had forgotten about them until now. On these shoes, soaked between its fibers, is the blood of 54 innocent human beings. 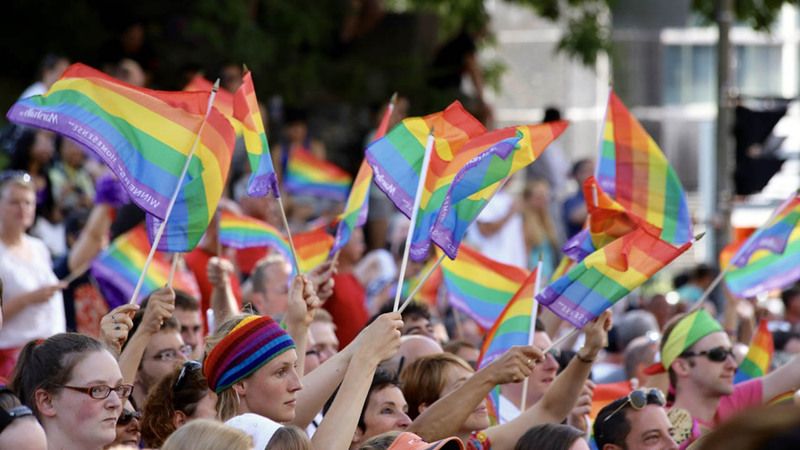 I don't know which were straight, which were gay, which were black, or which were Hispanic. What I do know is that they came to us in wave upon wave of suffering, screaming, and death. 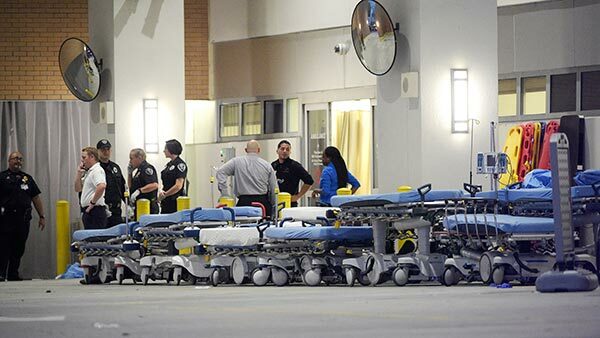 And somehow, in that chaos, doctors, nurses, technicians, police, paramedics, and others, performed super human feats of compassion and care. "This blood, which poured out of those patients and soaked through my scrubs and shoes, will stain me forever. In these Rorschach patterns of red I will forever see their faces and the faces of those that gave everything they had in those dark hours. "There is still an enormous amount of work to be done. Some of that work will never end. And while I work I will continue to wear these shoes. And when the last patient leaves our hospital, I will take them off, and I will keep them in my office. I want to see them in front of me every time I go to work. For on June 12, after the worst of humanity reared its evil head, I saw the best of humanity of come fighting right back. I never want to forget that night." Among the tributes from sports stars, news personalities, and celebrities, this response also went viral with more than 325,000 shares. The image and post have recently been removed from the page. 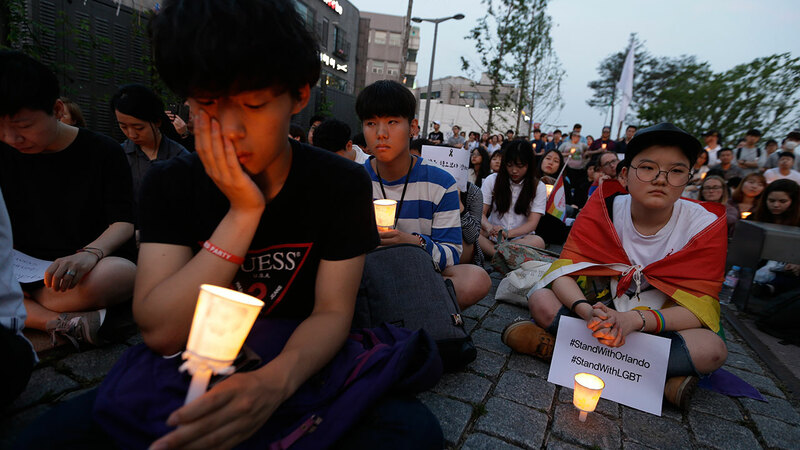 See the emotional reactions as people around the world mourn for the city of Orlando.